Scheinbar ohne große Mühe kann sich das Acer Aspire 5940G-724G50BN auf den ersten Platz der Top10 Multimedia Notebooks bis 16.4-Zoll festsetzen. Der schnelle Intel Core i7-720QM ist dabei genauso hilfreich wie die schnelle Einsteiger-Grafik ATI HD4650 (1.014 MB GDDR3). Doch dies allein hätte nicht für den fulminanten Sieg genügt. Due to the sub-optimal use of available space for a bigger and higher resolution screen, along with the poor battery life and somewhat lousy graphics performance this isn't likely to appeal to more demanding users. 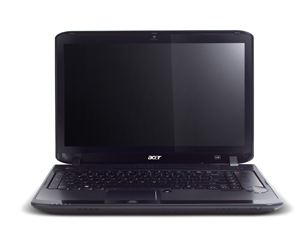 However, Acer has managed to produce a responsive machine for day-to-day tasks and would likely suit the home user very well. There are plenty of others in the price and spec range, even more from Acer itself, that are certainly worth a look, but you may want to keep the Aspire 5940G in mind it does what it says on the tin.